Turning the pinnacle of the motorsports world into an annual video game used to be a thankless task: an ever-changing track roster and the need to ensure that every virtual advertising hoarding corresponded to its real-life counterpart used to mean that a given year’s Formula One game would come out only when the season was ending. But this year’s F1 game from British developer Codemasters conveniently arrives during the sport’s mid-season break. While F1 2018 offers no big surprises, Codemasters has been making these games for nine years now and has it down to a fine art. Naturally you’ll spend most of your time racing, but there’s more going on off the track, designed to give you a more rounded driver experience. On race weekends, for instance, you’ll be interviewed by a TV journalist asking tough questions about your performance; blame the car in your answers and it will destroy the morale of your team’s technical department. 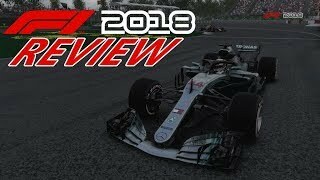 F1 2018 looks fabulous on and off the track. This season’s returning Paul Ricard and Hockenheim tracks are present, and near-indistinguishable from real life. 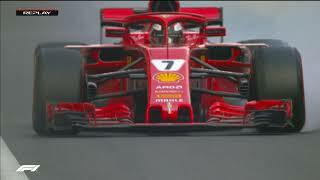 But the most impressive standards of realism in F1 2018 can be found in the way the cars handle. A more accurate tyre model feeds back into the handling and the gameplay: if, say, you ignore your team’s calls for a late-race pit-stop, you’ll have to deal with your tyres “falling off a cliff” and losing almost all their grip (as has happened in the real-life racing this year). 2018’s new regulations mean the cars are faster and possess more grip than before, and you can instantly feel the difference. F1 2018’s car-handling is more convincing than in any other console racing simulator. Turn off all the driving aids and the cars become tricky beasts indeed. In F1 2018’s Career mode, in which you pick your team then work your way up the Formula One ranks, hopefully attracting bigger teams with your on-track exploits (and your interview demeanour, which weighs sportsmanship against showmanship). Championships mode contains a welter of alternative racing formats, which heavily feature classic Formula One cars. I was able to start a season behind the wheel of my boyhood hero James Hunt’s title-winning 1976 McLaren, consisting of full-length, nearly two-hour races; luckily, you can save mid-race. Driving the classic cars, which can be slid around satisfyingly but have much longer braking distances, feels gigantically different to the 2018 racing. Events mode consists of downloadable what-if scenarios that are only available for a certain period of time. Cutely, the first one puts you in the cockpit of Carlos Sainz Jr’s Renault, fighting to recover from 14th place towards the end of this year’s Belgian Grand Prix, which hasn’t yet taken place. F1 2018 is a very, very good racing game. The authenticity is exceptional, whether you’re twiddling with the ERS system’s electronic boost-delivery as you figure out a way past the car in front, or trying not to get penalised for driving too quickly in a virtual safety car situation. For die-hard Formula One fans, it’s essential, but an abundance of driver aids make it forgiving enough to welcome more casual motor-racing fans, too.